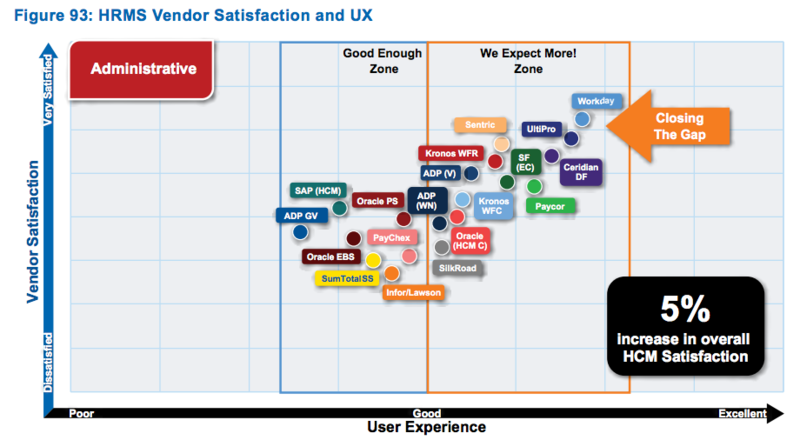 This week, Workday was ranked highest in Human Resource Management System (HRMS) vendor satisfaction and user experience by HR and IT practitioners and leaders in the Sierra-Cedar 2017–2018 HR Systems Survey White Paper, 20th Annual Edition. We’re honored by the results of this independent survey, which “stands alone as a global benchmark of HR technology adoption and the value achieved from the use of these technologies,” according to Sierra-Cedar. It’s great to hear that Workday delivered on these high expectations, and it further validates our technology approach and decision to build a single system in the cloud. From the very beginning, we recognized that legacy, on-premise systems weren’t built to keep up with the pace of innovation, and therefore wouldn’t be able to meet the needs of today’s organizations. That’s why we designed Workday using the Power of One, which has many benefits including one version of our software, which lets us roll out new features and innovations to all customers at the same time. We believe that this approach, along with our focus on delivering an intuitive, consumer-grade user experience, has helped us achieve a customer satisfaction rating of 98%. On behalf of Workday, we thank our incredible customer community for allowing us to achieve this honor. Give your workforce the experience they deserve with Workday Human Capital Management.